As wonderful as the format is, there are many potential hazards that could irrevocably ruin your discs, potentially wasting a lot of your money. Andy Price explores how best to store your discs to keep them safe and you smiling for decades to come. Be sure to read part 1 of our guide. Your records are priceless – not literally, of course, but in the sense that they represent hours of sonic bliss. However, there are still many people who might have been collecting for a while who don’t keep their vinyl in a condition that will preserve its integrity and, indeed, may even be damaging, long-term. Newcomers, too, may find this physical ‘looking after’ of their music libraries a bizarre anachronism in 2017, but vinyl is a vintage format which, to get the best out of, requires specific care and attention. 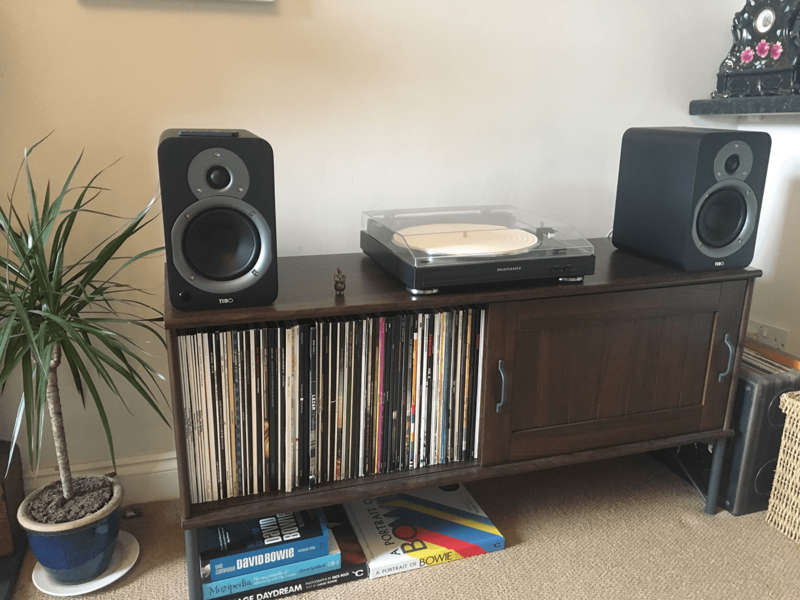 In this feature, we’re going to look more specifically at vinyl storage, an area we touched on last issue in our more broad ‘looking after your records’ feature which mainly focused on cleaning, dust removal and needle maintenance. You might find it a difficult pill to swallow, but how you store your records can have a massive impact on the resulting sound of the music and, in a worst-case scenario, could render your discs permanently unplayable. First off, to better understand the technology we’re dealing with here, let’s take a look at just what your records are made of – vinyl. it’s made harder by water. Though this clearly sounds like a clunky, old-fashioned process established decades ago, it generally remains the record-creation method in use today, with modern pressings all created using, essentially, the same routine. Therefore, your 2017 released discs are just as prone to damage and breakage as your 1967 ones. 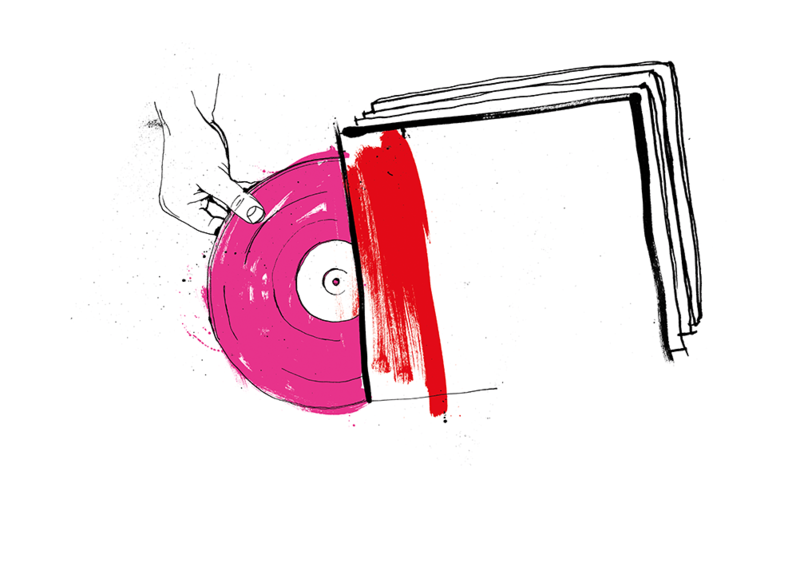 With this in mind, it’s important that whenever you handle your precious vinyl discs, you must ensure that you always touch them by the edges and never fondle the inner disc area where the grooves are, or you’re increasing the chance of communicating dust, hair, crumbs or any other micro-particles you’ll probably be carrying on your fingers to the disc. Some might say that the resulting hiss, crackle and pop that you get from micro-particle contamination is part of the format’s appeal – adding to the psychology of listening to music on record being a ‘warm’ fire-like experience. While we don’t particularly mind a bit of crackle on our records, we want to keep listening to them for decades to come and, if your discs are exhibiting too much erroneous sound, you should really consider giving them a clean. It’s amazing how quickly the build-up of dust can start to affect the sound, with the contamination noise overpowering the sound of the tracks, particularly in quieter moments. 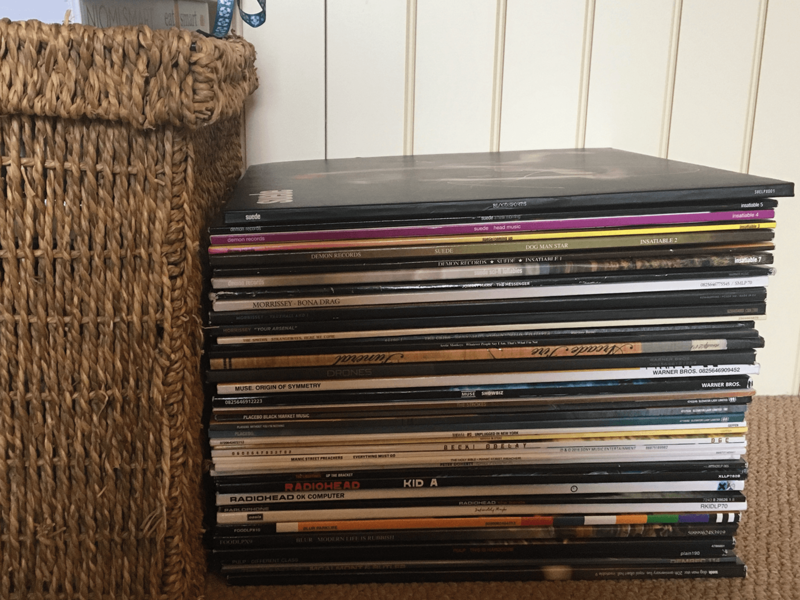 Always put your records away after use: it’s an old rule, but one which is frequently ignored and one that many might not realise is vital to a record’s lifespan. Leaving your records on the turntable is a sure-fire way to get the grooves clogged with the dust that invisibly circulates around the rooms that people inhabit (we’re pretty disgusting). Another possible problem may be that if your record player faces direct sunlight and has been left out of its sleeve, then the heat throughout the day could cause significant damage. You just don’t want to run the risk, really, so to avoid all manner of possible problems, just treat your records as if they were holy relics – make sure that after each play you file the discs back in their sleeves. Speaking of sleeves, you’re going to need to consider that your record will come into contact with the protective inner sleeve more than any other surface in its life. Therefore, it’s best to replace the older, paper, sleeves with either the thin plastic wallets (often these are found inside a traditional paper exterior) or a bulkier, dedicated protective sleeve. There are myriad dangers with paper sleeves, particularly with older records: as the paper ages and its quality deteriorates, the surface becomes far coarser, acting like a harsh buffer to your precious, delicate discs. There’s also a danger that the glue used to put together the really old paper inner sleeves may have started to leak and/or change state, impacting on the surface of your record in a big way. We’re really talking about 40-plus-year-old records here, though, so don’t worry too much about this issue affecting your copy of Adele’s 25. But if you’re planning on being in this for the long haul, then it pays to be aware. Another note relevant to the battle against dust is something that perhaps many younger record collectors haven’t had to do much of – and that’s vacuuming! You should give the area around your record player and records a blast at least two times a week, though don’t try to hand-vacuum your records yourself as this is just, well, a bit silly. You should also regularly be getting out a standard yellow duster and dusting above your speakers, below the needle and on the plate which your record spins on. We’re constantly shedding hair and dead skin, so it’s an ongoing fight. Even if you’ve replaced your sleeves with more forgiving plastic ones, you’ve no reason to be complacent. Dust is an insidious substance which, given time, will find its way into places you assumed were protected. 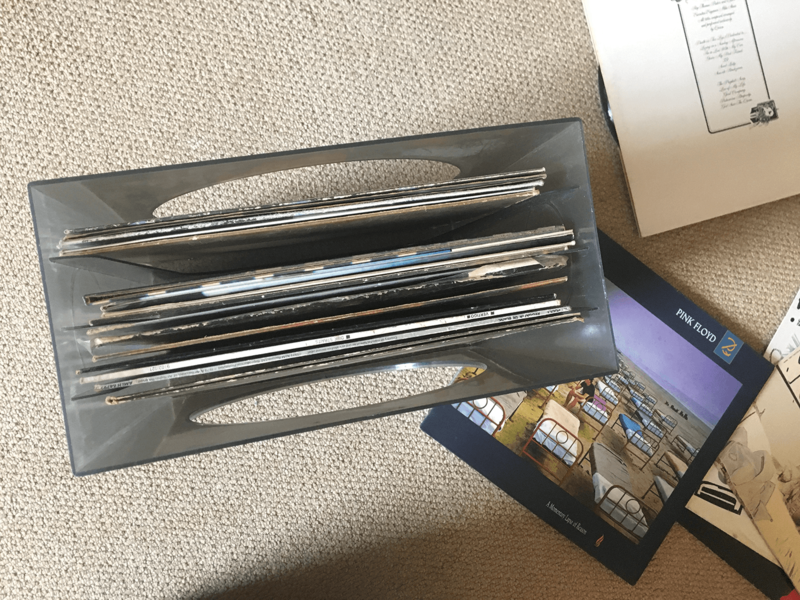 So, with your vinyl collection, you’re going to want to also consider specialist outer sleeves – these also protect the album’s card sleeve, which contains the artwork (that’s half the experience, right?). Outer sleeves shouldn’t be too heavy, as when they’re stuck in your shelves, it’s possible for them to become a little ‘too’ attached to the card sleeve, particularly in hotter temperatures. We think it’s better to store your records in a ‘stood up’ vertical position instead of a flat horizontal stack. Yet we do concede there are dangers with both approaches. With horizontal (piled up) storage, however, the weight and pressure on the records lower down the stack will eventually start to have an effect and possibly bend your records out of shape – and, in a worst-case scenario, all the records beneath the warped disc will start to pick up that same warp. Similarly, when your records are stood up vertically, ensure they’re not leaning, for exactly the same reason. It’s all about balancing the weight. Another danger with horizontal stacking is the records lower down the pile will have all the residual dust and grime forced further into their grooves, with pressure from above also causing the peaks of the playing grooves to be compressed, leading to audible distortion. Be aware of the accumulated weight of your records, particularly if they’re leaning. If they’re too heavy, they may damage your shelving system. Really, though, what we actually like to do is gawp at the size of our collections and the broad range of records we’ve collected. For that reason, vertical storage makes considerably more sense from a convenience point of view. So not only is it (arguably) a safer way to store your discs, but you can see the names of all your records and easily slide out/in your chosen LP without fear of a tower of records falling on top of you!